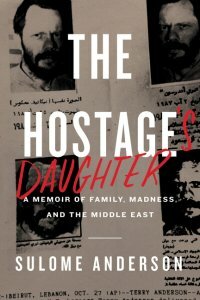 In this gripping blend of reportage, memoir, and analysis, a journalist and daughter of one of the world’s most famous hostages, Terry Anderson, takes an intimate look at her father’s captivity during the Lebanese Hostage Crisis and the ensuing political firestorm on both her family and the United States—as well as the far-reaching implications of those events on Middle Eastern politics today. In 1991, six-year-old Sulome Anderson met her father, Terry, for the first time. While working as the Middle East bureau chief for the Associated Press covering the long and bloody civil war in Lebanon, Terry had been kidnapped in Beirut and held for her entire life by a Shiite Muslim militia associated with the Hezbollah movement. As the nation celebrated, the media captured a smiling Anderson family joyously reunited. But the truth was far darker. Plagued by PTSD, Terry was a moody, aloof, and distant figure to the young daughter who had long dreamed of his return—and while she smiled for the cameras all the same, she absorbed his trauma as her own. Years later, after long battles with drug abuse and mental illness, Sulome would travel to the Middle East as a reporter, seeking to understand her father, the men who had kidnapped him, and ultimately, herself. What she discovered was shocking—not just about Terry, but about the international political machinations that occurred during the years of his captivity. 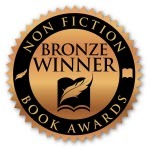 The Hostage’s Daughter is an intimate look at the effect of the Lebanese Hostage Crisis on Anderson’s family, the United States, and the Middle East today. Sulome tells moving stories from her experiences as a reporter in the region and challenges our understanding of global politics, the forces that spawn terrorism and especially Lebanon, the beautiful, devastated, and vitally important country she came to love. Powerful and eye-opening The Hostage’s Daughter is essential reading for anyone interested in international relations, this violent, haunted region, and America’s role in its fate. Sulome Anderson is a journalist based between Beirut, Lebanon, and New York City. Her work has appeared in New York magazine, Vice, The Atlantic, Foreign Policy, and Vox. She has covered subjects ranging from Syrian refugee child suicides to the war against ISIS in Iraq and has also worked in Egypt and Turkey, where she reported on anti-government protests. Her goal is to draw attention to individuals marked by conflict and remind her readers that these people, whether victims or villains, are as human as they are.